ANKARA, Nov. 22, 2015 - Newly elected Turkish parliament speaker Ismail Kahraman delivers a speech in Ankara, Turkey, on Nov. 22, 2015. A member of Turkey's Ruling Justice and Development Party (AKP) was elected on Sunday as Turkish parliament speaker with 316 votes out of 522 in the third round of the election. 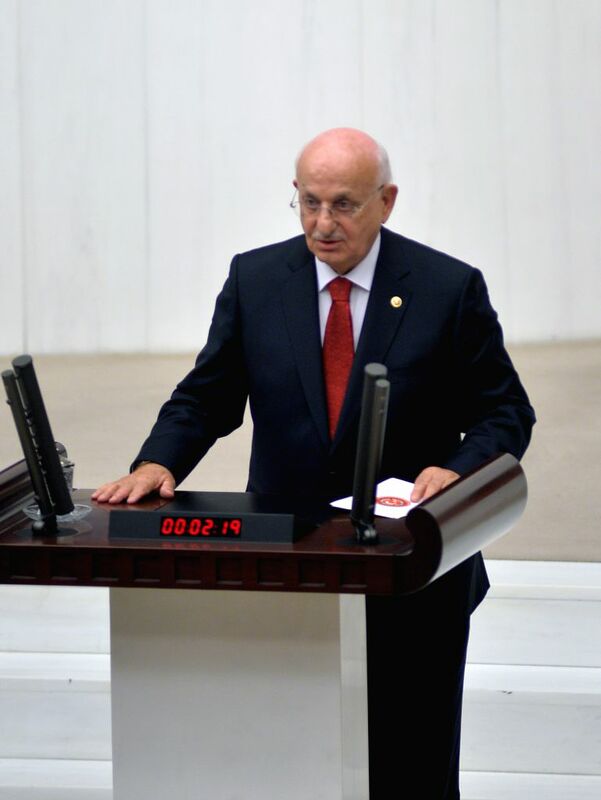 In remarks following his election, Ismail Kahraman said the new parliament would act within the constitution and he would be impartial during his term.